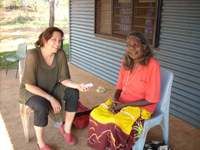 Linguistics at The University of Melbourne has a long tradition of supporting fieldwork-based research on endangered languages. Topics range from descriptive grammars of little known languages to more specific investigations of phonetics, morphology, semantics, discourse, lexicography, language acquisition and language documentation. To those University of Melbourne students obtaining scholarship support for the Linguistics and Applied Linguistics PhD program, financial support for fieldwork through the Faculty Fieldwork Scheme is available (currently up to around AUD $10,000); in many cases further support from particular research projects is also available. A Language Documention lab provides a desk, filing cabinet and computer for each PhD student undertaking remote area fieldwork and language documentation. 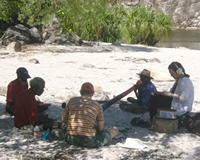 Honours students can take field methods classes which may trigger an interest in the language studied that results in further research on that language. Languages that have been studied in the field methods course in recent years have included Lopit (Sudan), Ganalbingu (Australian), Golin, Enga (Papuan), Tetun Dili, Lau, Sasak, Bugis and Acehnese (Austronesian). 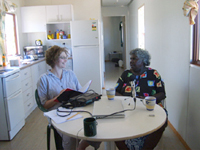 The program offers two regular courses on Australian Aboriginal languages, and a further course involving the study of a particular language family (eg the Aslian languages of the Malay Peninsula). We regularly offer workshops in topics in language documentation with a focus on software tools to support linguistic analysis. Linguistics staff have been central in establishing the Pacific and Regional Archive for Digital Sources in Endangered Cultures (PARADISEC) and support longterm reusability of records produced during linguistic research. We also established the Resource Network for Linguistic Diversity to support language work and to network between researchers in the field.